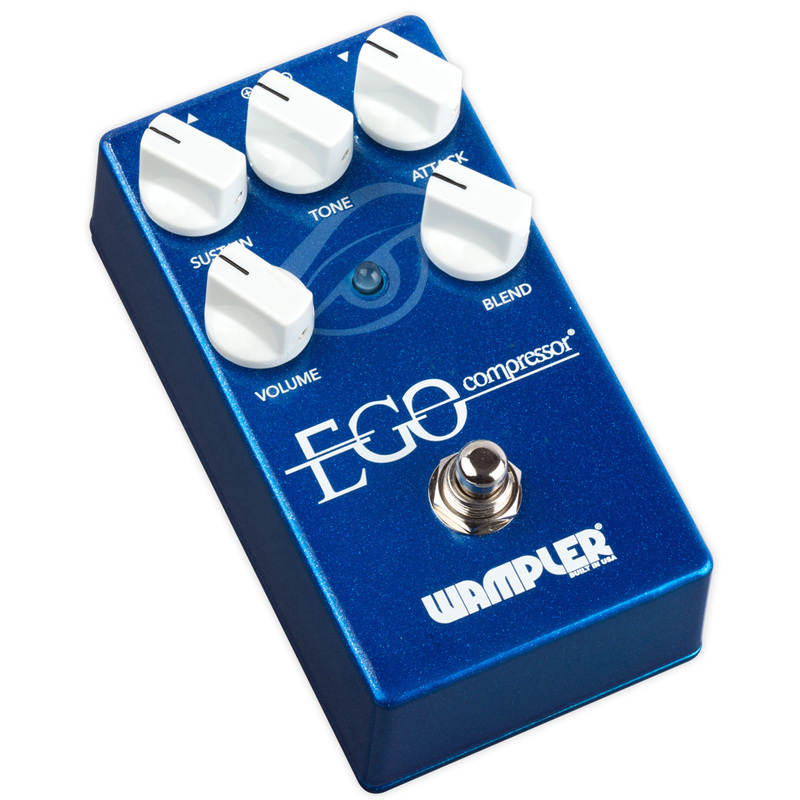 Now widely regarded as the industry standard in guitar pedal compression, the Ego Compressor brings a new level of of control to what is expected and needed by today's guitar players. What does a compressor do? 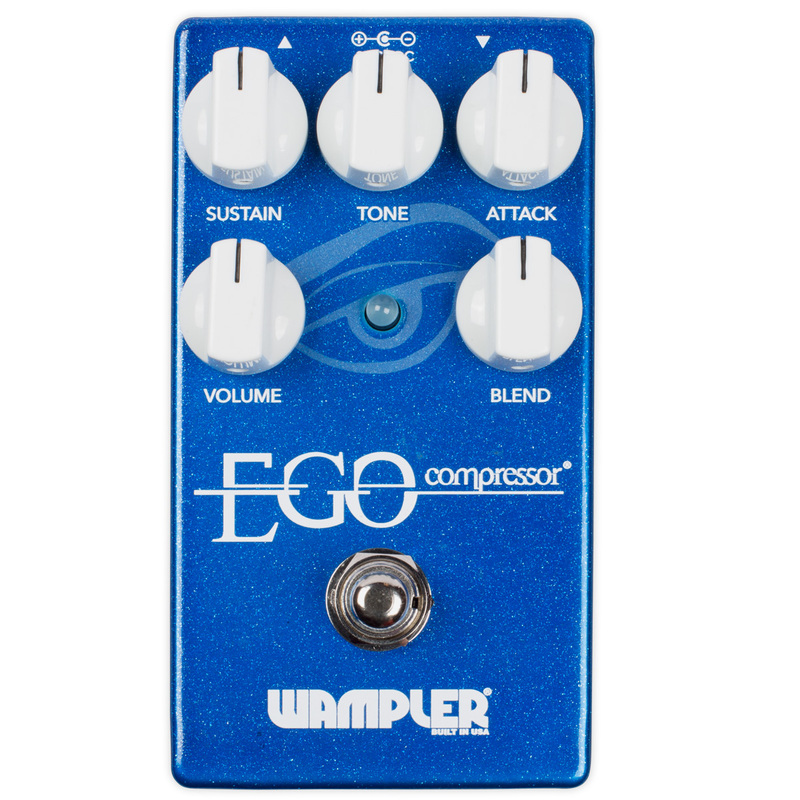 A compressor adds an element of control to your playing level – it will bring the quieter parts up and the louder parts down. 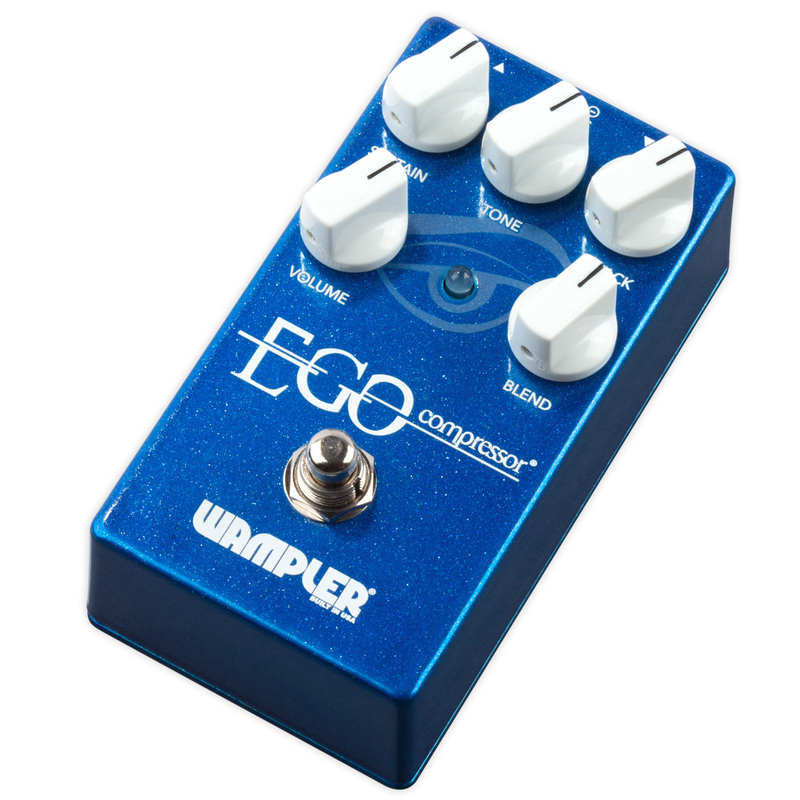 While an ordinary compressor pedal can give you an element of control, a great compressor will give you the “feel” that other average compressors lack. If you’ve played a great tube amp when it’s being pushed hard, you’ll know what a great natural compression feels like. 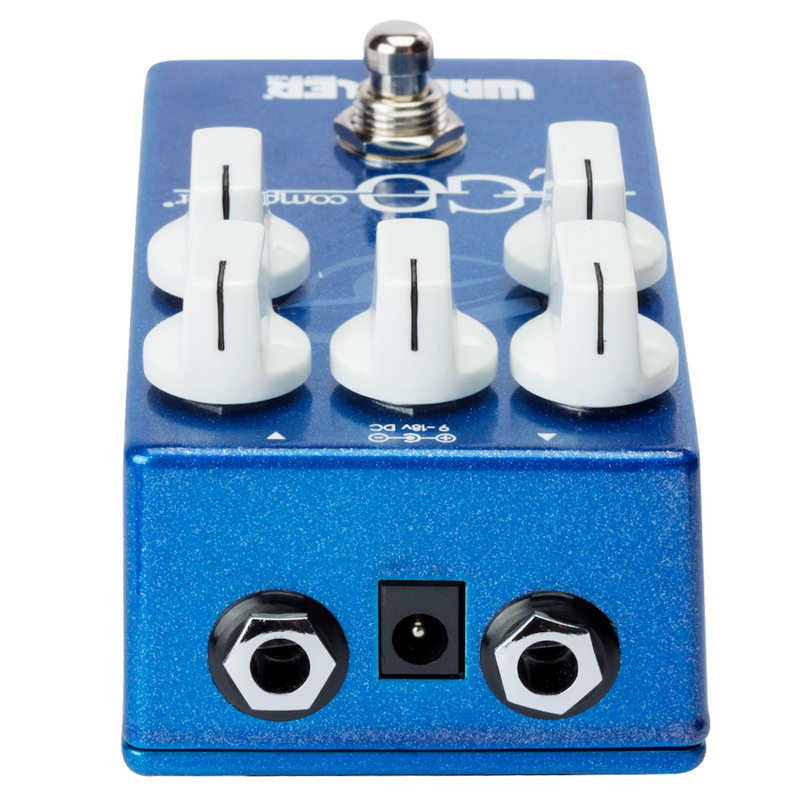 When we designed this pedal, the focus was ensuring the playing dynamics could be retained and that the compressor didn’t colour the tone at all. By incorporating a clean blend, it allows your original signal to be blended back in so you can get all the benefits of a great compressor (picking up the notes that aren’t as strong and increasing sustain) but have the option to remove the squash at the front. With this control, you can have full country squash or open studio level parallel compression. 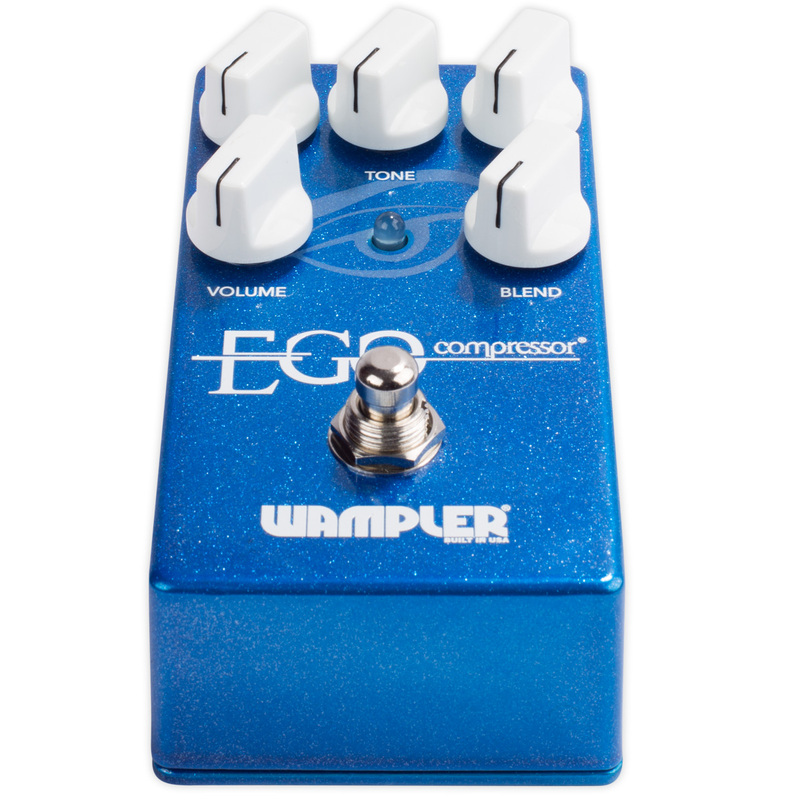 So, with a comprehensive array of controls and a core tone that is pure, you won’t find a compressor that works as perfectly as an “always on” or as “an effect” and is more highly regarded than the Ego Compressor from Wampler Pedals.